ABCmouse.com’s preschool music and songs curriculum takes advantage of a fact that every early-childhood educator knows: preschoolers can learn a great deal through appealing children’s songs. 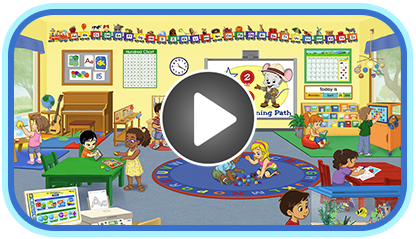 ABCmouse.com’s preschool music and songs curriculum includes a rich assortment of traditional and original children’s songs that help to develop oral vocabulary. At the same time, the curriculum helps familiarize children with the ways in which words can sound similar, an important pre-reading skill. Many of our online children’s songs also teach about the alphabet, numbers, and other preschool curriculum topics. Parents and children love ABCmouse.com’s original collection of alphabet songs, featuring a “junior” series of songs written for younger children and a series of longer songs for pre-k and kindergarten children.